ISO Master is an open source graphical (GUI) application for Linux which enables users to create and modify ISO9660 files; ISO images and NRG (Nero) images. 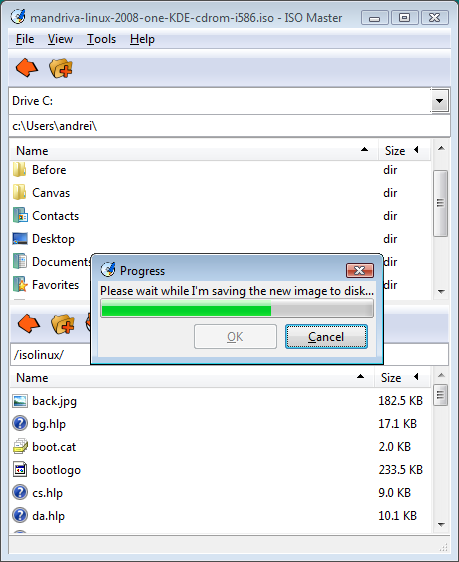 It allows you to create an ISO from scratch, add or remove files and directories from or to a CD image and also create bootable CDs using various record types. The Linux version is free, but the Windows version is not. Download. Vote for world’s first global Monopoly!